New Years Eve Z meet. Irvine. Sanding; What was underneath the flat black? Roll Cage! Thanks to Discombobulated Motorsports! Before It was black…It was red. These very grassroots evens at Mineral Wells Airport put on by UpShift Videos are a blast. No pressure, low entry fee (drivers 25.00 and spectators 5.00-includes ride alongs), and your almost guaranteed to burn through all your tires before the day is done. Weather your learning figure 8’s or wanna give a third gear entry a try this event is for you. This season will include mainly the 350Z. Getting it prepped with a super angle kit and some other suspension modifications, new seats, roll cage, etc. stay tuned-we’ll have a build thread soon! 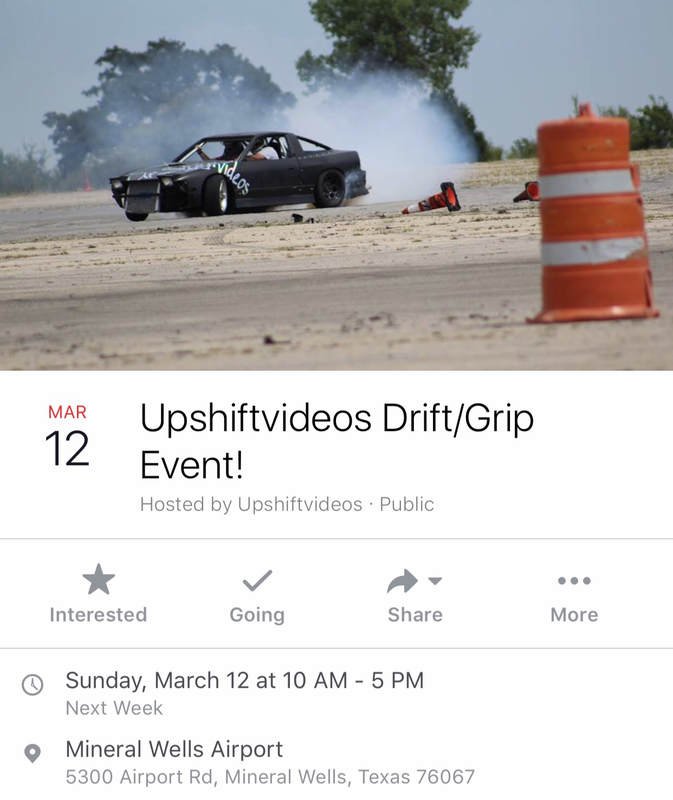 For now, come on out to next weekend for some drifting fun! Please take some time to go to my 'Links' section below on the right side of the screen... These are great people and great companies involved in motor sports that I want to recognize!